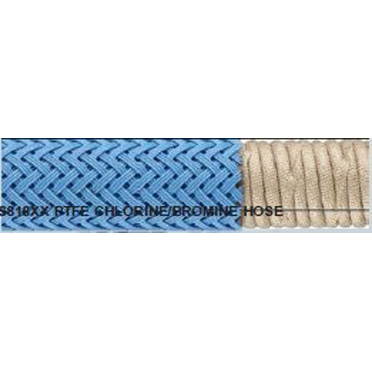 Low pressure chlorine hose assemblies. More flexible and resilient than metal hose. The PTFE inner core is virtually stree-free in continuous flexing installations. The convolutions are shallow and helical, rather than annular as in metal hose, to facilitate draining and cleaning and reduce transfer time cycles. Custom hose assemblies with various hose end configurations available.